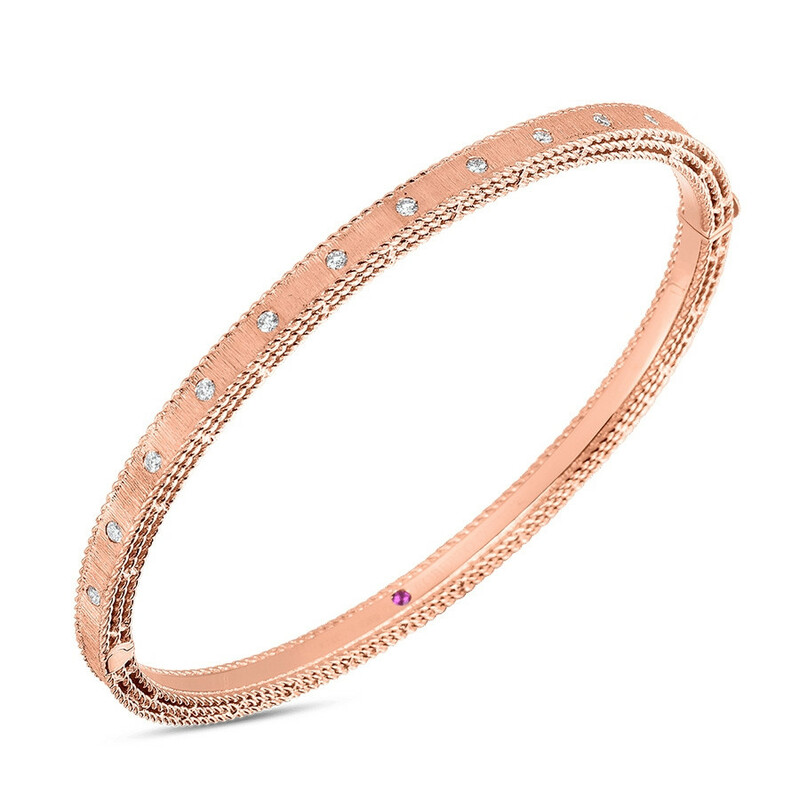 This beautiful bangle bracelet from Roberto Coin's Princess collection, handcrafted in 18K rose gold, has a soft satin finish and diamond accents. Its circular shape is echoed in the gemstones, positioned around the piece. Intricate metalwork on its pretty profile are a reminder of times past. This Roberto Coin bracelet is sophisticated and special.